E.T.A. This is Portland, Maine. Keri's comment reminded me once again of the East Coast/West Coast Portland confusion. We are going to spend much of the summer up in Bath, and I think Maine may be the land of yarn, at least the Midcoast region. Thanks to Ysolda's recent visit to the area, I am inspired to plan a Portland Yarn Crawl. Tess' Designer Yarns: Home of beautiful hand-dyed yarns, the indie-dyer has a bricks & mortar store, which is great for me since I don't have plans to attend any of the shows where most people encounter this yarn. Seaport Yarn: No, I haven't been to the Wall Street location yet, perhaps an NYC crawl in the Fall. From what I've seen on the interwebs, this is quite a venerable store. 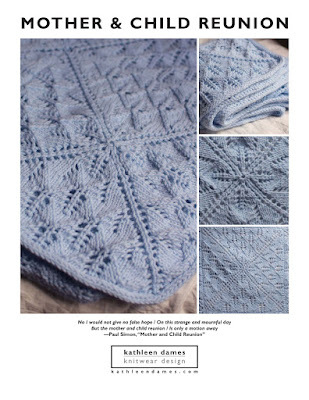 Knit Wit: I visited this LYS last summer and really liked it. I have yet to knit up the yarn I bought (some GGH Wollywasch that I plan to turn into a Fairisle yoke sweater), but that doesn't mean I can't check them out again. The shop is in a neat neighborhood with other cool shops, a tasty cafe (can't remember, but it may be vegan), and a great antiquarian book shop for Nick. Portland Fiber Gallery: Just down the street from Knit Wit, I visited this shop last summer, too. I'm not ready for a wheel yet, but in addition to wheels, looms, and fiber, they have dyes and finished yarn. If you can't make it to Portland, be sure to check out their Etsy shop for beautiful hand-dyed yarns and fiber. Central Yarn Shop: They bill themselves as "Brand Name Yarns for Less", and it would be great to find workhorse yarns at discount prices. We shall see. And Classic Elite seems to have some sort of office in Portland (Google lists them as Yarn Wholesale). Maybe I could convince them that they need me in some capacity or other: yarn tasting, tech editing, design. Anyone want to join me? I need to document the Bath area LYSes, too, which also make for a good crawl. I'll have to start thinking about that NYC Fall Yarn Crawl, too. And don't forget Knit-Purl (http://www.knit-purl.com/) one of my faves in that area! Ohno! Lol - I'm such an idiot! It's like that Vancouver, Vancouver BC thing.